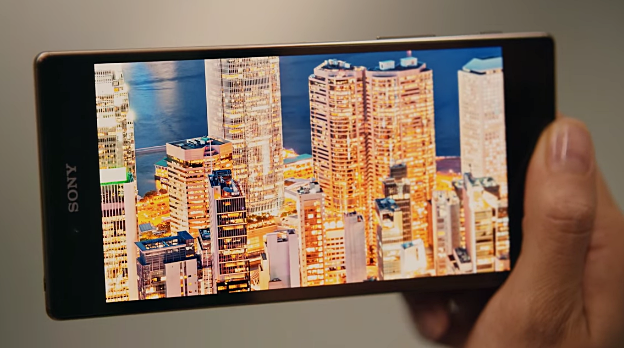 The legendary Japanese company's 2015 flagship Android phablet is the very first smartphone in the world to have a display with 4K resolution -- and it also happens to be one of the best cameraphones ever crafted. 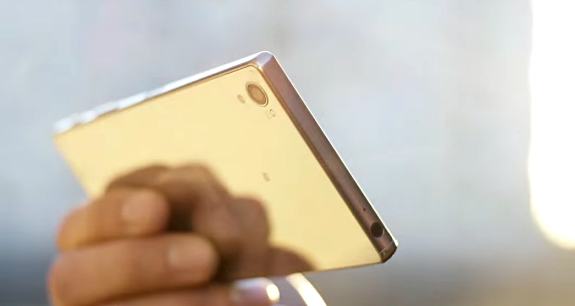 Set to be announced in the Philippines alongside the standard Xperia Z5 and the smaller Sony Xperia Z5 Compact on October 21, 2015, Sony Xperia Z5 Premium comes with all the best technical specifications and features that the company could have given a smartphone this year. There are two things about this model that - I think - make it far better than other competing large handsets in the market. First, it is equipped with a 5.5-inch display with a whopping Ultra HD or 2160 x 3840 pixels resolution, making it the most crisp or most pixel-dense mobile screen out there with 806 ppi pixel density! That's 10 times the pixels of a Full HD TV packed into a device that can fit in your pocket! 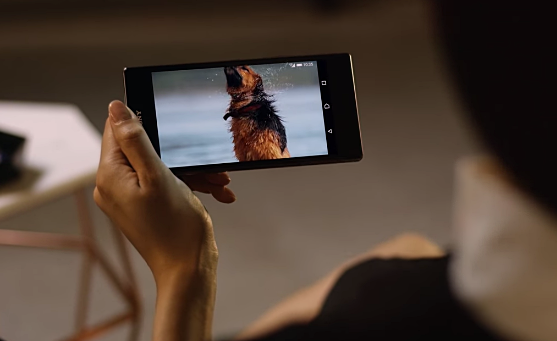 This makes Sony Xperia Z5 Premium the best handset out there for viewing 4K videos and super high resolution photos, letting you appreciate the finest details in every shot. 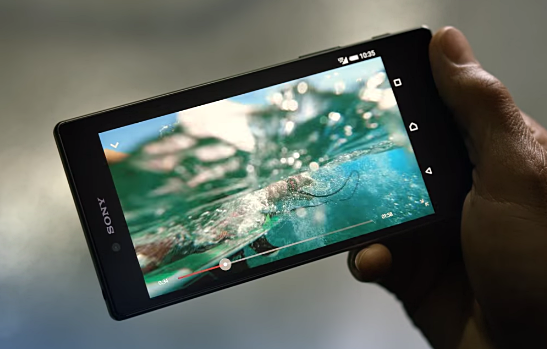 Second, this release sports the best camera out of all mobile devices Sony has churned out so far. It features a 23 MegaPixel main camera with 1/2.3” Exmor RS for mobile sensor for top-notch low light performance and Hybrid AF that lets you focus on your subject in just 0.03 secounds! This amazing module makes the Sony Xperia Z5 Premium - along with the regular Z5 - as the top cameraphone this year, according to DxOMark. 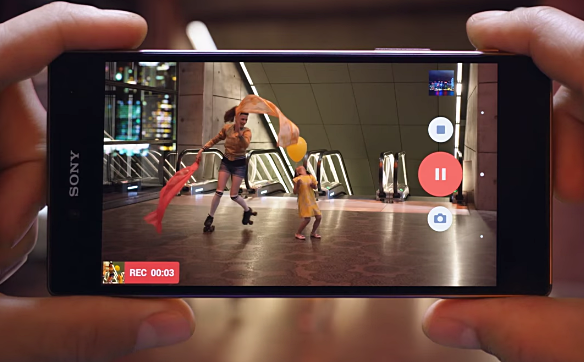 The main cam can also take 4K videos and with the Sony's SteadyShot technology, users can rest assured that their videos will look steady even when they record it while they're moving. There's also a 5.1 MegaPixel wide-angle front cam that you can use to take selfies with your friends in the same frame. 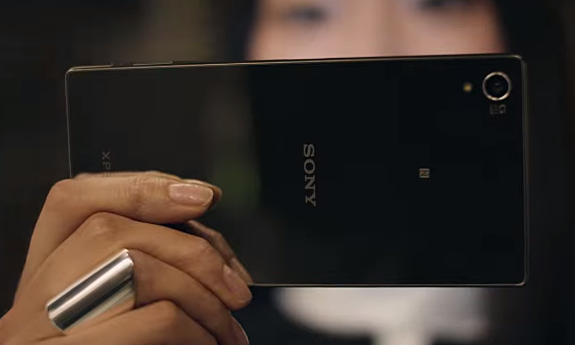 Just like previous Sony Xperia flagship releases, the Z5 Premium also flaunts the same OmniBalance design identity -- highlighted by two sheets of scratch-resistant glass sandwiching an anodized aluminum frame albeit with more high-gloss finish. 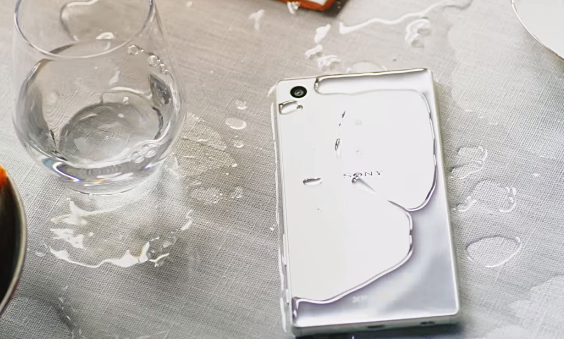 This elegant construction is also IP65/68 certified to be protected against dust and water ingress -- but Sony does not recommend that you use the phone underwater. So just think of it as an added protection against accidental spills. 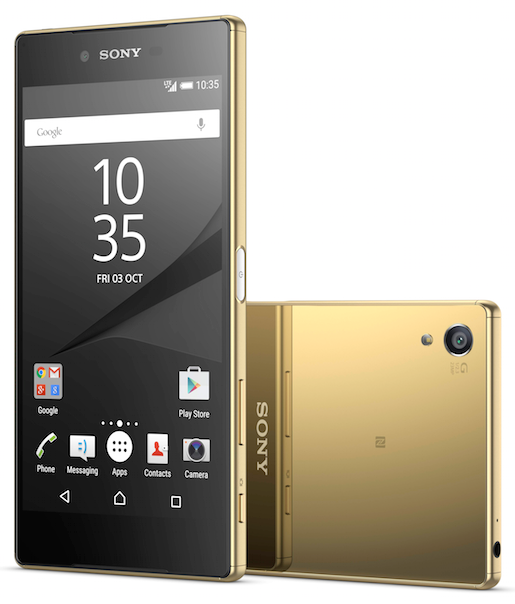 Measuring just 7.8 millimeters at its thickest point and weighing 180 grams, Sony Xperia Z5 Premium runs its Xperia-UI-flavored Android 5.1.1 Lollipop operating system with its 64-Bit Octa Core Qualcomm MSM8994 Snapdragon 810 chipset, has 3GB of RAM for smooth multitasking, and comes with 32GB of expandable storage. This set of internal hardware is pretty standard for a 2015 flagship smartphone. The phablet is also powered by a non-removable Li-Ion 3,430 mAh battery pack that - according to the Japanese company - is capable of delivering up to 2 days of uptime with regular use. Supporting 4G LTE Cat6 mobile connectivity and available in Gold, Black, and Chrome (Silver), Sony Xperia Z5 Premium has an official SRP of £629 GBP in the United Kingdom or roughly Php 44,700 with current conversion, which I believe will - more or less - be the price of the phablet when it becomes available for purchase in the Philippines starting on December 3, 2015. It's quite expensive -- but I guess considering everything that it offers, it's well worth the price.